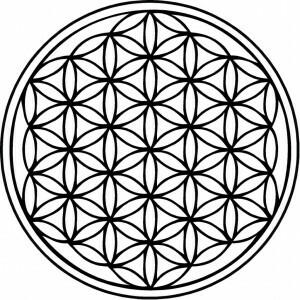 The Flower Of Life is an ancient sacred geometric symbol, the earliest known examples found in Mesopotamian artifacts dating back to 1400 BC. 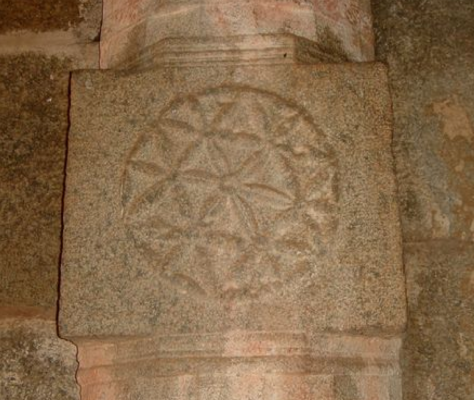 The symbol is common throughout the ancient Middle East and parts of Europe, but is found as far afield as India and China. The most famous representation is probably the imprints located at the Temple Of Osiris in Abydos, Egypt, which have been claimed to be as much as 10,500 years old, but are probably much younger. 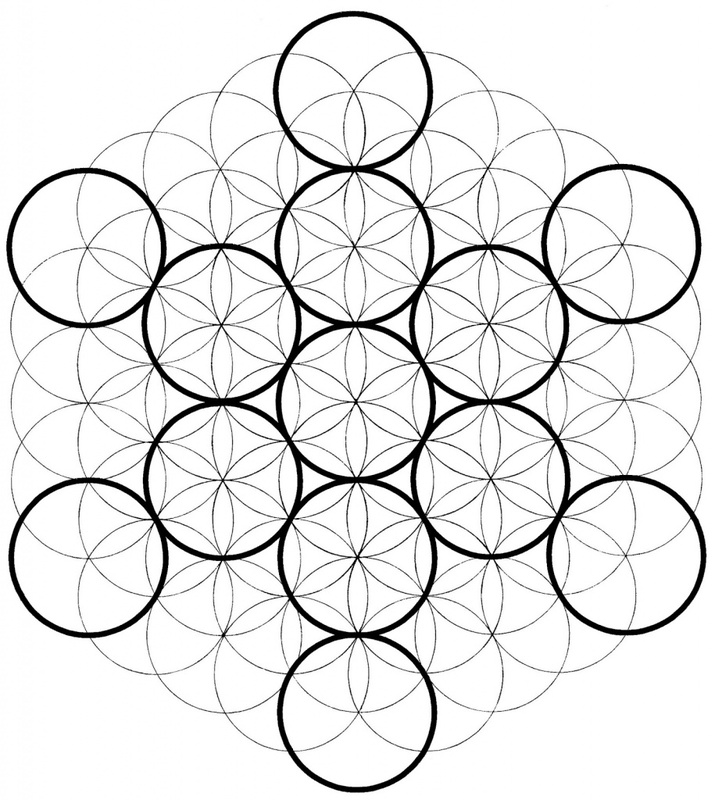 The Flower Of Life comprises many identical, evenly spaced circles that overlap to form a repeating series of flower patterns with sixfold symmetry. 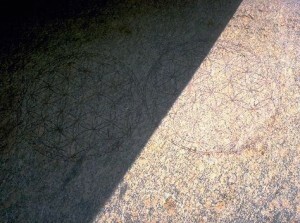 Each flower contains six identical petals surrounded by a hexagon, and somewhat resembles a honeycomb cell. 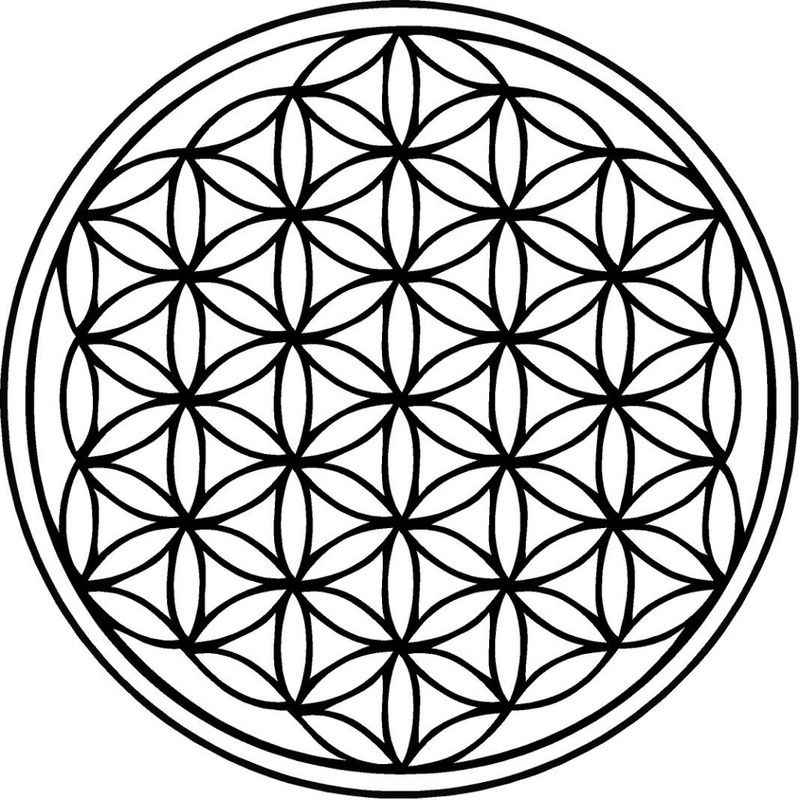 The centre of each flower sits on the circumference of 6 intersecting circles. Stare for a while at the overall pattern and you will notice how each individual component is interwoven with all the others – each is intrinsic to the whole. Each individual petal of a single flower turns out to be part of another flower – not even a separate flower, for the other flower could not exist without the components of the first. 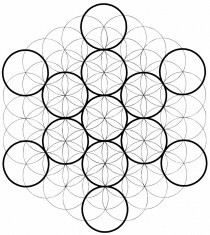 In other words, no single flower in the Flower Of Life pattern exists on its own – all are interconnected. 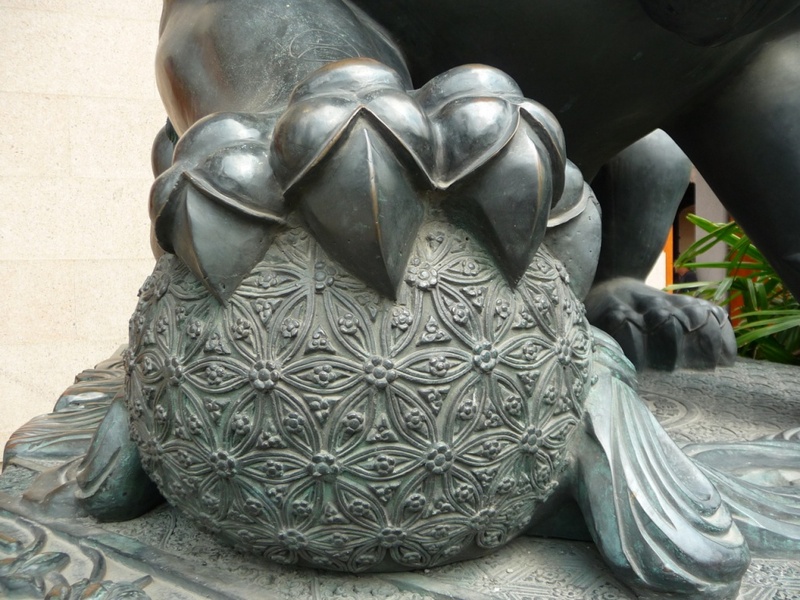 Notice also, as you gaze into the pattern how new patterns and forms, originally unseen, begin to emerge and merge again on seemingly multiple levels. 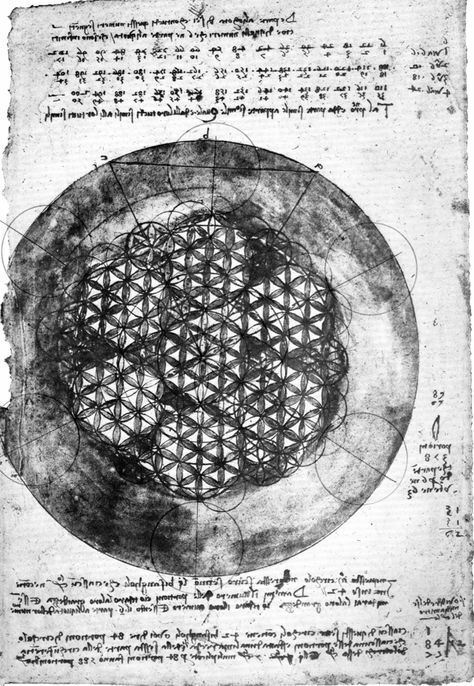 Leonardo da Vinci studied the Flower Of Life and identified the 5 platonic solids hidden in the template. 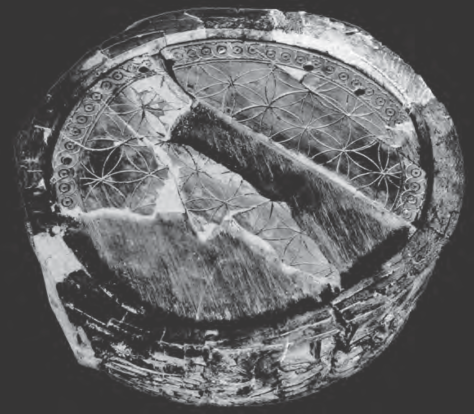 These are the 5 “perfect shapes” that the ancient Greek Philosopher Plato identified and theorized were the basic building blocks of the 5 classical elements – earth, water, air, fire and ether (the ancient Indian term for ether is Akasha). In other words, the platonic solids are the building blocks of all matter, and these building blocks in turn are all part of the Flower Of Life. 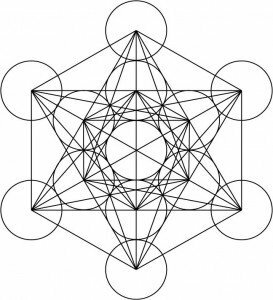 The 5 platonic solids further combine to form a single geometric framework known as Metatron’s Cube, which is considered in Sacred Geometry as the map or template for all creation. Unsurprisingly, Metatron’s cube can also be directly derived from the Flower Of Life. 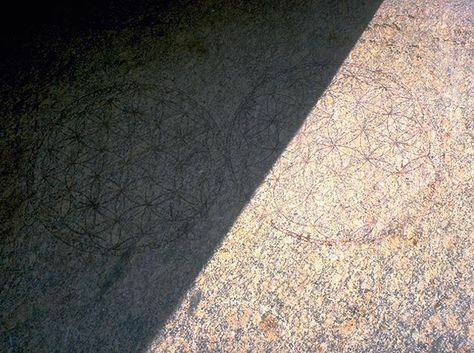 But these are not the only sacred symbols and shapes to emerge from the template. 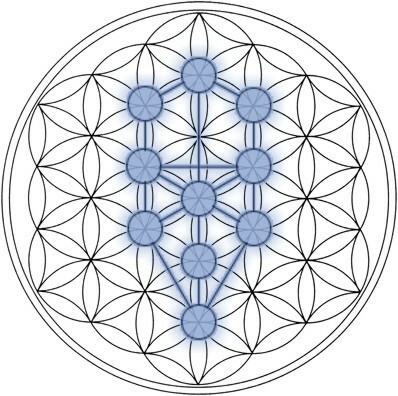 The Tree Of Life, a symbol central to Kabbalah, can also be found within the pattern. 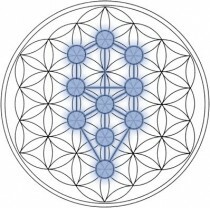 The Tree Of Life is a representation of the 10 “emanations” of the Divine. It is in itself a template for the interaction between the boundless Divine and all the elements of creation. 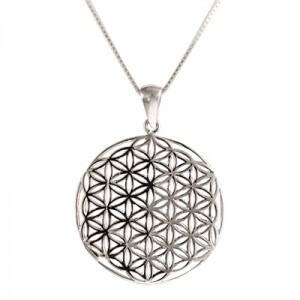 Clearly, there is much to learn from the Flower Of Life, a geometric template, which represents the fundamental forms of space and time – the very building blocks of all Creation. Take some time to meditate on it, gazing into it to see what mysteries are revealed. Blue Turtles offers this sterling silver Flower Of Life pendant, which measures 35 mm in diameter and has a slightly domed surface. 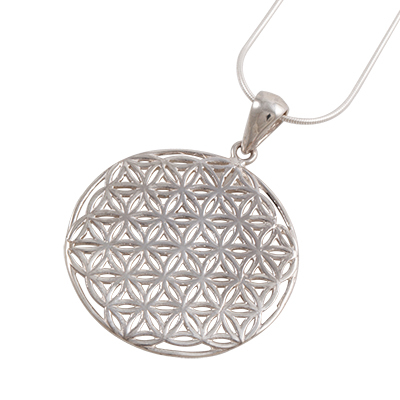 Each petal is gently bevelled and smoothed, causing the pendant to reflect lots of light and sparkle beautifully. To find your most convenient stockist, click here.